The romantic side of me has always adored Autumn. Trees of crimson, gold, chocolate and iridescent emeralds contrast the azure sky, sunbeams busting forth between branches leaving magical designs on the grassy carpet below. Grasping the hand of a loved one while walking through the woods and listening to the crisp sounds of dessicated leaves as they give way beneath our feet. Warm temperatures losing their humidity seem to offer new desire for the outdoors, encouraging us to bask in the remaining rays before the brash winter makes hermits of us all. With over an acre of wooded property, I long to breathe in the fragrant air and gaze at the colorful artwork created by God’s hand. While I am aware of the enormous number of dreary-leaved Black Walnut trees in our yard, the lack of their splendor was lost on me until this year. For reasons not known to us, we have experienced an abundance of two things: weeds and walnuts. 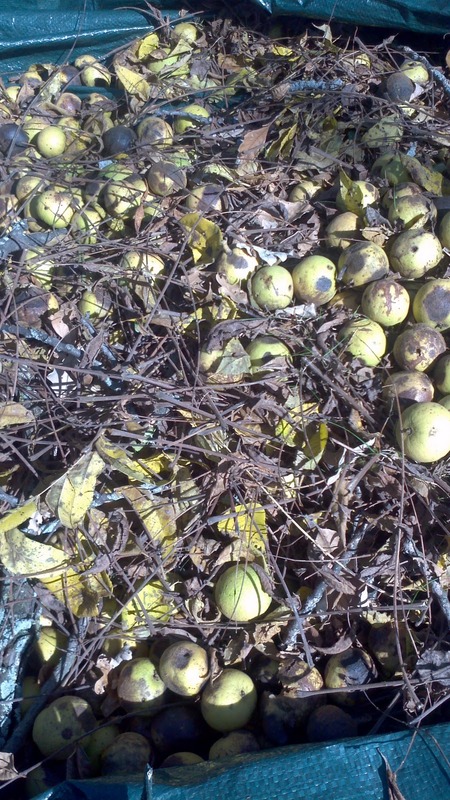 For days, I have raked, plucked, tossed, pitched, kicked and shoveled thousands of walnuts–dragging them by tarploads into the unmanicured woods on our property. As an added insult, my efforts were rewarded by dozens of putrid green balls escaping their hold from the branches in unison, often onto my head as I carried the captured ones away. Today, as I continued my quest, I looked around at the piles and one thing came to mind: where are the darn squirrels, and why aren’t they doing their jobs? We have food for them, and lots of it! Walnuts used to be considered a delicacy for them, something akin to truffles for us. When I was young, I watched the little fuzzy creatures scurry through my yard, peeling the husks and burying the nuts for a winter’s bounty. We never had to collect the nuts before we could mow the lawn because the squirrels knew their role. Now, we are lucky to find one or two and most would rather climb into the bird feeders than bother to gather the nuts. Have the squirrels run off to greener pastures? Have they outsourced their food supply or cut a deal with the farmers for the dregs in their fields? All I know is that I want them back! Perhaps if I put an ad on Craig’s list we could get some business here and lighten the load, or perhaps a welcome sign in the front yard might help? Until they return, I am forced to hard labor -and if you are looking for me, I’ll be in the yard, doing squirrel’s work. If you happen to have a few emaciated squirrels in your area, please, send them here; they can work for food. 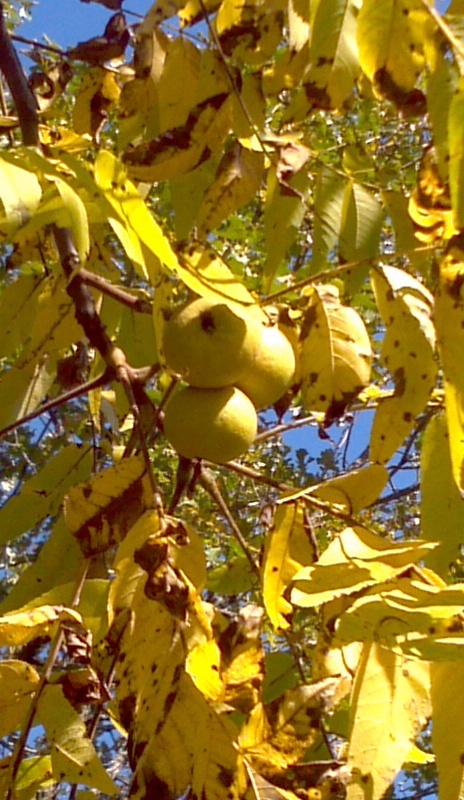 This entry was posted in autumn, black walnut trees, leaves, squirrels, walnuts. Bookmark the permalink.